Have you written a letter to God lately? Fr. Daniel Lord, SJ, will inspire you! 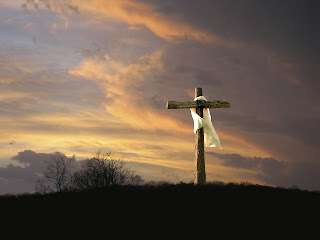 Join me at Praying with Gracefor some excerpts and inspiration. We're coming up to the Fourth Sunday of Lent: Laetare ("Be joyful!") Sunday. Just a bit past the halfway mark in Lent, this rose-colored celebration encourages us to stay faithful to our fasting, almsgiving, and prayer. Here at the Apostleship of Prayer, of course, our favorite part of that Lenten trifecta is prayer. Our mission is to encourage children to cultivate vibrant, personal prayer lives of their own. The spiritual giant Romano Guardini warned against "empty reciting" in prayer, so the Apostleship of Prayer encourages ways of praying that will grow with young people as they mature. One of my favorite resources for children in 3rd through 7th grade is our "3 for 3 Prayer Experiment." It challenges students to observe three deliberate times of prayer each day for three days, and then reflect on the results. 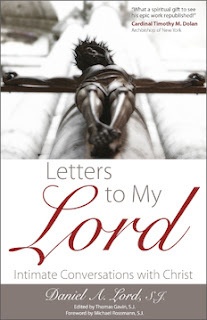 Perfect for a middle-of-Lent prayer boost! 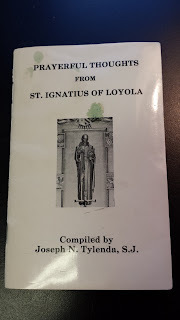 Today I take one last stroll through "Prayerful Thoughts of St. Ignatius of Loyola," this time searching for wisdom in the face of my friends' deep suffering. Please join me in prayer at Praying with Grace. 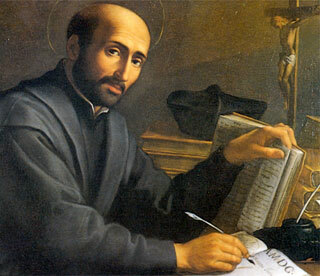 Join me at Praying with Grace to read more Ignatian insights into the glory of God. I wanted to pray "for families" today. Then I looked in my little book of Ignatian thoughts and realized that's too vague. His words challenge me to become a better wife and mother myself--THAT is an important step in praying for families! Open this booklet with me at Praying with Grace! You need a few minutes to pray. That's what St. Ignatius thinks, anyway. I've got just what you need. Join me at Praying with Grace! 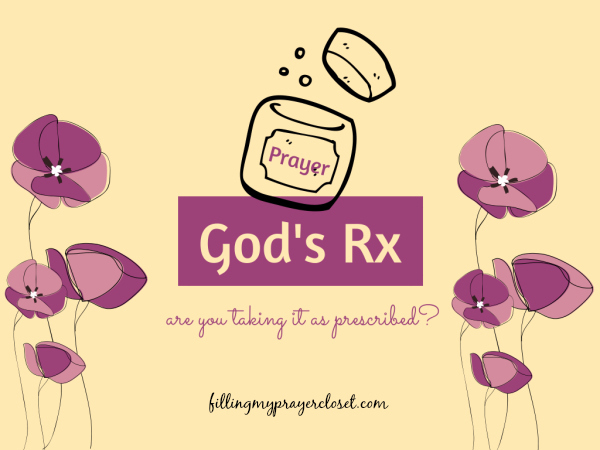 God’s Rx: Are you taking it as prescribed? As a wife and mother of two children working outside of the home, I am always asked how I manage to find time to pray. Add flu season, quick jaunts to the doctor and pharmacist a couple of times a week, and it’s daunting. Recently, my youngest, Gabriel, was sick with an ear infection. He gets these often enough to know the routine of the in-and-out visit and his favorite “bubble gum medicine” being magically sent to the pharmacist for pick up. After a few days, Gabriel always ends up feeling better and our world goes back to the break-neck speed I can handle. This last time, I forgot a dose and mentioned it to him. Gabriel assured me it was ok because he was feeling better and probably didn’t need it. I quickly explained the need to take medicine exactly as it’s prescribed by the doctor. “Just because we feel better, doesn’t mean we stop taking medicine, Gabriel”. Can you see my finger wagging? He nodded like the little man he is (did I mention, he’s 6 years old?). As a Christian I am bound to follow my conscience, my inner guide to doing good and to avoiding evil. Every Evening, as the day winds down, I spend about ten minutes at the beginning of "Night Prayer" to review my day by examining my conscience. The guide that I have found most helpful lately is called "An Examen." I like this way of reflecting on my day because it is balanced. It helps me see both the times I practiced virtue as well as the times I sinned. This is in contrast to other examinations I have used which emphasize only the sinful acts. Noticing God's goodness and appreciating his providence is another outcome that has helped me. 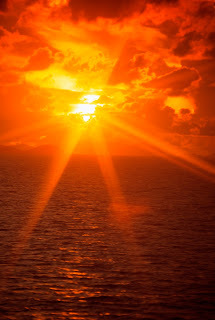 I feel a strong impulse to give God glory and praise as a result.